When it was time to change her husband Greg’s diaper, Deb Ploetz followed a routine. 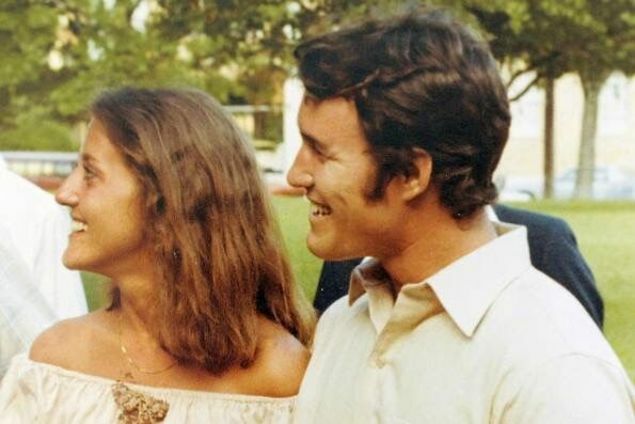 First, she would lead him to the bathroom of their rental house in North Little Rock, Arkansas, where they had moved to in February of 2015—in part to be closer to Deb’s family, and in part because memory care facilities in Texas and Colorado had been too scared of Greg, a 5-foot-11, 205-pound former football player, to let him stay. Greg was 66. 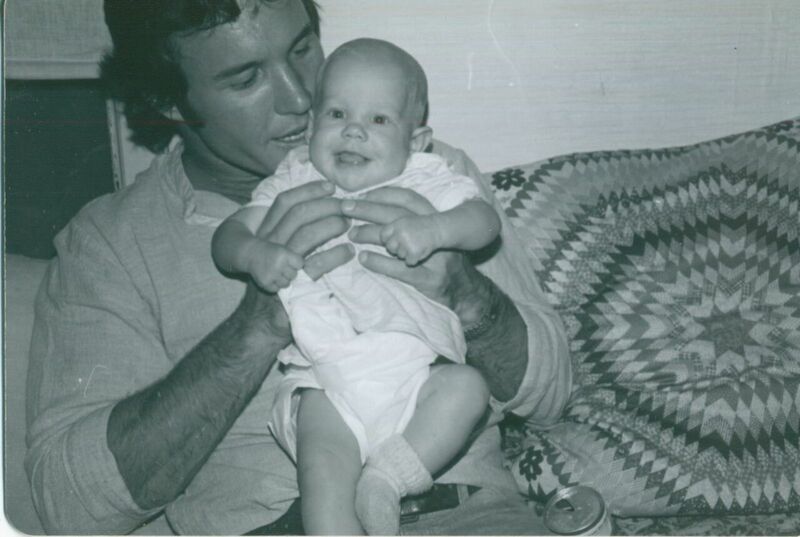 He and Deb had been married for 37 years, and they had two children together, Beau and Erin. 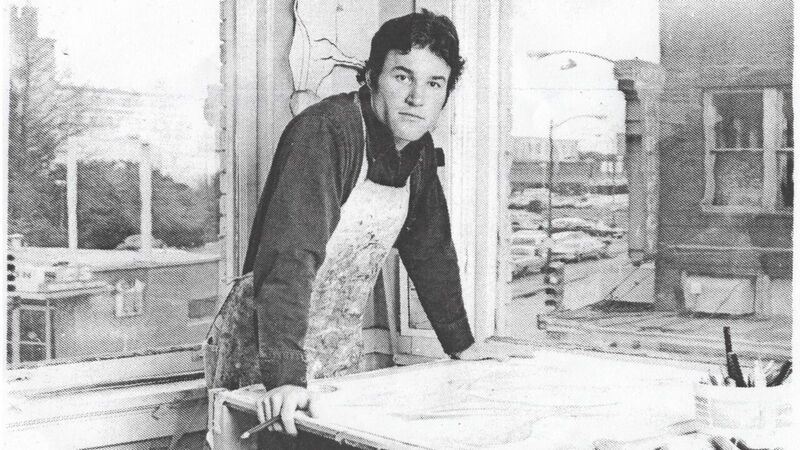 Greg was a college and high school art teacher and football coach, a loving father and talkative brother, and a restless and prolific painter once named the top art student at the University of Texas. But ever since his dementia diagnosis in 2009, his life and mind had withered. He went from constantly misplacing his wallet to losing his job to being flummoxed by puzzles made for toddlers. In the spring, Deb placed him in a Little Rock hospice, and on May 11, 2015, he died of the long term effects of his illness. Seven months later, Boston University doctors told the family that Greg suffered from chronic traumatic encephalopathy (CTE), a neurodegenerative disease linked to repetitive head trauma. Characterized by the buildup of a toxic protein called tau in specific areas of the brain, CTE is associated with cognitive dysfunction and mood and behavior disorders, and only can be definitely diagnosed after death. In 2005, the neuropathologist Bennet Omalu found the disease in the brain of former NFL lineman Mike Webster, a discovery whose repercussions are still unfolding—Congressional hearings on the risks of concussions and head hits, investigative reports into what the NFL knew and when it knew it, ongoing rules changes intended to mitigate the game’s violence, and the settlement of a brain injury lawsuit brought against the league by thousands of former players that eventually could cost the NFL hundreds of millions of dollars. But Greg Ploetz never played professional football. 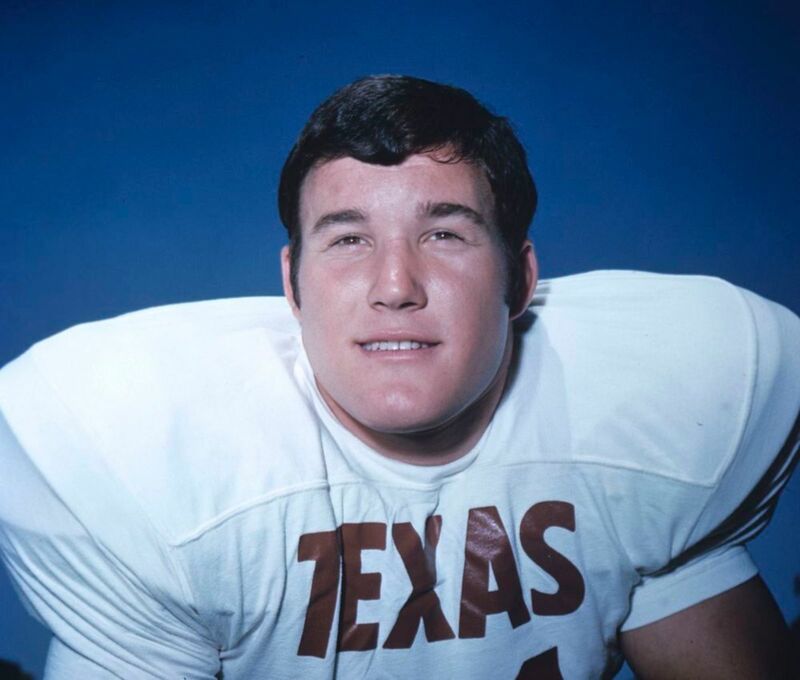 His career ended at Texas, where he starred as an undersized, overachieving defensive lineman and was a key member of the school’s 1969 national championship team. Nevertheless, Ploetz was diagnosed with the most advanced stage of the disease, and Boston University CTE Center director Ann McKee told Deb that his case was the worst she had seen in a college player to that point. Last summer, McKee and her colleagues reported in the Journal of the American Medical Association that they had found CTE in the brains of 110 of 111 former NFL players—and in 48 of 53 former college players, too. The findings became national news, and in many outlets the story was illustrated with a photograph of Greg’s diseased and atrophied brain. Football is America’s most popular college sport, reliably drawing millions of television viewers and generating nearly $5 billion in revenue in 2015-16. The game is overseen by the National Collegiate Athletic Association, which counts more than 1,200 schools and athletic conferences as members and makes rules that govern everything from practice time to courtside corporate cup branding. The NCAA’s mission, according to the NCAA, is “safeguarding the well-being” of athletes. Deb Ploetz takes exception to that last bit. In January of 2017, she filed a wrongful death lawsuit seeking over $1 million in damages against the NCAA in Dallas. Her suit argues that the organization knew or should have known that concussions and head hits were dangerous, yet neither told Greg about the risk nor took sufficient action to protect him from harm. A trial is scheduled for June; barring a last-minute settlement, the case will become a legal landmark—the first such suit brought against a major football organization on behalf of a former player with CTE to be heard by a jury. Deb Ploetz is not alone in looking to hold the NCAA accountable. Four years ago, the organization agreed to pay $75 million to settle a class action concussion lawsuit filed in 2011 by former Eastern Illinois University football player Adrian Arrington and other athletes making similar claims to the ones in her suit. That money will go to medical research and brain injury screening for all current and former NCAA athletes. Unlike the NFL’s settlement, the NCAA deal does not pay cash to afflicted athletes, who instead retain the right to bring personal injury claims. Former football players have since filed more than 100 of those suits against the NCAA, conferences, and various schools, many of which may be consolidated into a second class action specific to the sport. When the Ploetz trial begins on June 11, jurors will have to determine just how responsible the NCAA is for protecting athletes—and to what extent, if any, the organization has forsaken that duty. The stakes will be high, as a loss could place the NCAA in greater legal and financial jeopardy by giving the other former players and their attorneys currently suing the organization a roadmap to future courtroom victories. It also could encourage scores of new plaintiffs. Donna Lopiano, a former women’s athletic director at the University of Texas and past CEO of the Women’s Sports Foundation, believes the NCAA and its member schools ultimately may face more than $1 billion in brain trauma liability. The first sign of trouble came in 2005, when Greg Ploetz couldn’t remember that the green button on his new cell phone made calls. Then there was his computer. One day, Greg summoned Deb to the living room of their Weatherford, Texas farmhouse—the same home he had helped build, outfitting it with plumbing and electricity without hiring contractors. As his wife stood over his shoulder, Greg made a simple request. Help me send an email. They held their wedding in a public park, not far from Greg’s live-in art studio, a cavernous, canvas-strewn loft overlooking the city’s Riverwalk. They spent six months in Europe, touring France, Italy, Greece, and elsewhere. “We went to every art museum in the free world,” she says. “It was great. I had an instant teacher.” They lived in London, where Greg worked at a gallery, and returned to Texas after Deb became pregnant with their first child. That changed in the late 1990s. Greg became irritable, complaining of constant headaches. He kept losing his keys and glasses. In 2007, Deb noticed that Greg began crying regularly. “Just watching a movie,” she says. “Talking about losing his dad. Anything sad.” Then, out of the blue, Ploetz had trouble adding numbers. In 2009, he left his teaching job at a high school in Aledo, Texas after students and parents complained that he was struggling to calculate correct grades. Finally, the two went to see a neurologist. “What grade of school did you finish?” the doctor asked. Greg looked at his wife, confused. “This man has his master’s degree,” she said. “Your husband’s IQ is 80,” the doctor said. Greg Ploetz was diagnosed with dementia. He was 60. As far as Deb knew, he had no family history of the disease. She remembered news stories she had seen, about terrible things happening to the minds of former NFL players. “Why do you think it’s football?” he asked. “I thought, ‘God, I’m going to have to kill somebody,’” Ploetz says. “Sure enough, there’s a tackling drill called ‘eye-opener,’ when they set four bags on the ground in a line. The [ballcarrier] can run-in the first hole or the second hole or the third hole, but if he fakes into one hole, he has to run into the next hole. Football is a violent game; a college player can be hit in the head more than 1,000 times over the course of a season. According to the NCAA, football has the third-highest rate of diagnosed concussions of any campus sport, behind men’s wrestling and men’s and women’s ice hockey. And football’s rate of undiagnosed concussions may be even higher: a 2014 Harvard University study found that college players report having six suspected concussions and 21 “dings”—jarring hits that may or may not have caused concussions—for every one that’s diagnosed. With rest and a gradual return to regular activity, most athletes who suffer a single concussion experience no permanent ill effects. Multiple concussions are associated not just with an increased risk of post-concussion syndrome but also long-term depression and memory problems. Athletes who suffer a second concussion while still recovering from a previous one are at risk for second-impact syndrome, in which the brain swells rapidly and catastrophically, causing severe disability or death. Researchers studying college players have linked even repetitive sub-concussive trauma to measurable brain changes, some of which are consistent with damage. “We don’t know how hard impacts have to be, or how many you have to have, to trigger CTE,” says Chris Nowinski, the co-founder of Boston University’s CTE Center and a former Harvard football player. “But after looking at more than 200 brains of former NFL and college football players, we’ve seen it in over 95 percent of them. So we’re concerned.” An actuarial report produced as part of the NCAA’s class action settlement in 2014 estimates that for athletes whose college careers began between 1956 and 2008, as many as 300 a year will someday be diagnosed with CTE. More than a century ago, college football faced a similar crisis. According to a 1905 article in the Washington Post, at least 45 boys and young men died from game-inflicted injuries between 1900 and 1905, in part because the rules of the game encouraged brutal scrums. After Union College halfback Harold Moore was kicked in the head and suffered a fatal cerebral hemorrhage that November, a Cincinnati newspaper ran a cartoon depicting the Grim Reaper sitting atop a goalpost. 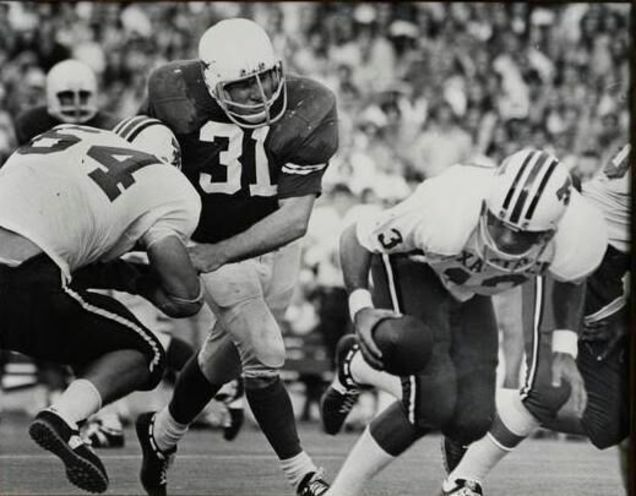 Columbia, Duke, and Northwestern subsequently suspended their football programs. Harvard president Charles Eliot likened the sport to cockfighting, and warned that his school might be next. In response, President Theodore Roosevelt—an avid fan whose son had been injured while playing for Harvard—summoned school leaders to the White House. That meeting helped spur rule changes aimed at making the sport safer and the formation of the 62-school Intercollegiate Athletic Association of the United States, which in 1910 became the NCAA. Others see a different NCAA—one that has abdicated its founding mission by disregarding decades of warnings about brain injuries in football while declining to mandate and enforce commonsense safety rules. Asked to describe the organization’s efforts, Deb Ploetz’s attorney, Gene Egdorf, scoffs. “Just a lot of lip service,” he says. History paints a less flattering picture. Mike Dean was Greg Ploetz’s teammate in high school, and also at Texas. In 2014, he told the Dallas Morning News that a dazed Ploetz would often wander to the wrong sideline after plays, only to have his teammates steer him to the huddle and his place on the defensive line. “We all did that,” Dean said. 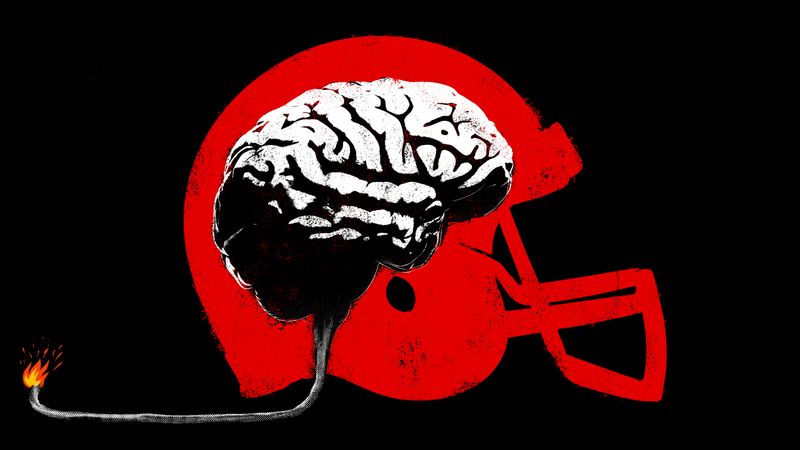 Conventional wisdom holds that nobody in football back then knew any better—and that nobody studying brain trauma knew any better, either. As recently as 2014, Hainline told the New York Times that there was “very little published science to guide” the NCAA’s concussion policies. Three years after Roosevelt’s White House meeting, a study of Harvard football players found that concussions were commonplace and concluded that injuries “are avoided by not playing injured men until they have entirely recovered.” In 1928, a report in the Journal of the American Medical Association used the phrase “punch drunk” to describe the neurological problems suffered by boxers who had suffered repeated blows to the head—the condition now known as CTE. The report’s author, Dr. Harrison Martland, subsequently told the Associated Press that he suspected that other contact sport athletes might also be afflicted. That warning did not translate into NCAA policy. Instead, college football’s governing body continued to outsource responsibility for athlete safety, largely by allowing schools to deal with concussed athletes however they saw fit. Over time, the medical community became increasingly alarmed. In 1996, the presidents of the American Academy of Neurology, the Brain Injury Association, and the American Association of Neurological Surgeons wrote a letter to then-NCAA executive director Cedric Dempsey stating that concussions were being “overlooked” by unqualified coaches and trainers, and imploring the organization to adopt uniform rules that would prevent injured athletes from returning to play until they were free of symptoms for at least a week and had been examined by a neurologist. The NCAA replied that it was not “in a position to endorse” such a proposal. In 2010, an internal NCAA survey of campus athletic trainers found that less than half did not require concussed athletes to see a physician; that roughly 40 percent of schools had no guidelines for athletes sitting out after being concussed; and that nearly 50 percent allowed athletes who received a concussion diagnosis to return to play in the same game. Later that year, the NCAA finally took action, requiring schools to create concussion management plans that included provisions for removing athletes with suspected concussions from play, barring athletes with diagnosed concussions from returning on the same day, and not allowing those athletes to return to competition before being cleared by a doctor. As part of its class action settlement, the NCAA in 2014 released expanded guidelines recommending that schools implement football practice hitting limits and have independent doctors make return to play decisions. Critics contend that those guidelines come with a catch—they’re guidelines, not binding rules, which means the NCAA neither investigates nor punishes schools for failing to follow them. Hainline, the organization’s top doctor, told CBS Sports that approach is preferable because managing more than 1,200 schools would be “essentially impossible.” Egdorf says that’s “horseshit.” He points to the NCAA’s 415-page rulebook, which devotes 38 pages to amateurism rules covering everything from when coaches can call high school recruits to limits on the size of housing stipends available to married athletes. Those rules are policed by the NCAA’s national enforcement staff and by on-campus school compliance officers. In 2013, Yahoo Sports reported that officials at a West Coast Athletic conference school spotted a member of their women’s golf team washing her car with a campus water hose. Concerned that doing so would qualify as an impermissible benefit—the water was not available to all students—they demanded that she reimburse the school $20. The conference later clarified that the car wash was a “non-issue,” but only after the school self-reported a violation. “The NCAA governs when it wants to,” Egdorf says. There was an unwritten rule when we played Big 12 Conference football (and it probably still holds true today): Don’t talk about how you feel after a big hit. If you stay in the game, you’re tough; if you leave, you’re letting down your team. And on top of the fear of letting down our teammates, our school and our fans, we also feared losing our spot on the team—and our scholarship. No one ever told us the hits we took came with risks—not the coaches, not the team physicians and certainly not the NCAA. When we watched film from our games, we also watched the serious hits we took on the field. It surprised me to see we were able to get up at all after some of them. Luckasevic, the lawyer who filed the first concussion suit against the NFL, has wondered the same. Like Egdorf, he has studied the NCAA’s history, poring over long-forgotten committee reports and meeting notes to find answers. “They treated head injuries like not that big of a deal,” he says. “You got hurt, went back in the game, finished your degree and graduated, and that was it. The bigger issues were gambling, dealing with drugs and alcohol, or players getting money on the side. After the NCAA rejected the proposal in early 2010, Halpin and NCAA associate research director Nicole Bracken exchanged emails mocking Klossner’s efforts. “He reminds me of a cartoon character,” Bracken wrote. “HA! I think you’re right about that!” Halpin wrote. A year later, Frostburg State University fullback Derek Sheely died from a brain injury suffered during football practice; the trauma he sustained that was so severe that doctors asked his parents if he had been in a car accident. Four times over the three days before he collapsed on the field, Sheely had visited the school’s athletic trainer and complained of symptoms, including blood coming from his forehead. He was not checked for a concussion. “I will unequivocally state we have a clear moral obligation to make sure we do everything we can to protect and support student-athletes,” Emmert said. Egdorf slaps his hands together, mimicking the sound of helmets colliding. “That’s play after play,” he says. That meant San Antonio, where Deb and Greg first met. So Deb sold the farmhouse and moved him back there. Only after they arrived, Greg still talked about returning home—to Weatherford. He started sleeping in his clothes, including his shoes, just in case he had to leave in a hurry. Eventually, Deb figured out where her husband was trying to go. Deb watched Greg vanish, slowly and painfully, piece by piece. He stopped seeing friends because he couldn’t hold a conversation, stopped showering because he was afraid of drowning, stopped watching football because he could no longer understand what was happening on the television screen. His last piece of art was a doodle, drawn at a Dallas memory care facility in 2013, in an art class that consisted of Greg and eight elderly women. Greg came home from the class, upset. “What is the matter?” Deb said. Greg could get physical with his at-home caretakers. He once tried to headbutt Deb when she attempted to have him take a shower. Some facilities refused to admit Greg. Too risky. Others would take him for a week or two, and then ask Deb to take him back. “Everyone would peg him as the big football player, but you know what it was?” she says. “It was fear. He was scared to death because he was losing his mind. Losing control of everything. Another man would walk down the hall, and I could see the fear overtake him, his body and face. So he’d walk up to that man and push him, and get kicked out. The hardest part, Deb says, was the loneliness. She lost her partner and her best friend—and as her husband’s caretaker, she lost a bit of herself, too. Deb and Greg would sit for hours on the couch, silent. Sometimes Greg would pucker his lips. He knew his wife was there, and still remembered how to kiss. “It was horrible,” she says. “Totally isolating.” Near the end in Arkansas, he began to hit mirrors. “It was like he couldn’t bear to see himself,” says his sister, Susie Dudley. One morning, Greg looked across the dining table at Deb. During a Texas-Oklahoma football game last fall, Longhorns quarterback Sam Ehlinger bounced his head against the ground while being tackled. The blow left him motionless, halfway between a fetal position and flat on his back for roughly 30 seconds. Egdorf, watching from the stands, was aghast. Following a short sideline concussion evaluation, Ehlinger went back into the game. Texas coach Tom Herman later said that his program had followed the school’s return-to-play rules. 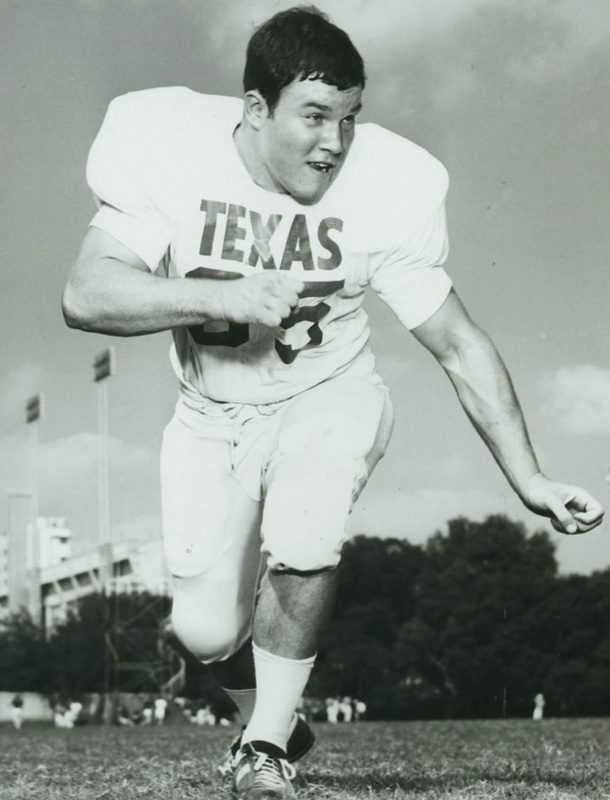 But in a game the next week, Ehlinger endured more hard hits—and subsequently was sidelined with concussion symptoms. Before his death, Greg Ploetz painted this image of a University of Texas football game. His number was 31 (left). How safe is safe enough? Additional lawsuits against the NCAA, conferences, and schools are pending—including one filed on behalf of former Pittsburg State University linebacker Zack Langston, who committed suicide in 2014 at age 26 and was diagnosed with CTE; and another from Julius Whittier, a Texas teammate of Ploetz’s and the school’s first African-American football player, who was diagnosed with early-onset Alzheimer’s disease in 2012. Sitting in the living room of her Dallas home, Deb Ploetz blinks back tears. Even now, she’s shocked by the picture of her husband’s brain—the same image that was published alongside so many news stories, the one where you can see dark, thimble-shaped holes where Greg Ploetz used to be. In every room of the house, the walls are decorated with Greg’s art—large, color-splashed canvases and smaller, finely-detailed prints. The paintings provide comfort, but also a reminder of what’s missing. One composition stands out: an acrylic her husband completed in 2010, depicting a scene from a Texas football game. On the canvas, Greg is falling backward, bowled over by a charging opponent. Elsewhere, three players form a blue, white, and orange triangle, helmets colliding at the highest point. The image is violent, but oddly serene; in the center of the composition, a solitary ballcarrier stands upright and untouched.